I relate to this article in The Guardian: Your moons are rubbish, astronomer tells Christmas card artists. Peter Barthel... belongs to that group of scientists who notice things that most of us, through ignorance or lack of pedantry, are happy to overlook. Oh, I'm definitely in that group. "The lack of knowledge concerning the physical origin of the moon phases, or lack of interest in understanding, is found to be widespread," Barthel concludes. No kidding. One of my in-law cousins (who is a degreed electrical engineer and should know better) came back from a trip to India and told me that the moon comes up in the middle of the day there! Umm, yeah? It does that everywhere! She just wasn't paying attention to the sky for the first 35 years of her life. In the paper, Barthel answers the question that fast comes to mind: who cares? The errors are innocent, he says, akin to impossible rainbows that have the red arch drawn on the inside instead of the outside. "Now, watching beautiful natural phenomena like rainbows and moon crescents is one thing, but understanding them makes them all the more interesting. Moreover, understanding leads to knowledge that lasts," he writes. The phases of the moon are easy to grasp. A full moon is directly opposite the sun with respect to the Earth, and so rises at sunset and sets at sunrise. A waning moon, moving from its third quarter to a new moon, has its left side illuminated to create this shape ( in the northern hemisphere. It rises around 3am and is visible very late at night or in the early hours of morning. A waxing moon, on the way to its first quarter, has its right side lit and looks like this ) in the northern hemisphere. This type of moon is visible from afternoon twilight into the evening. I don't think any of these proper orientations would detract from the artistry of the card, especially since most of them offend me on some other level anyway. Might as well scale back the pedantic wrath by getting one thing right. It reminds me of watching sci-fi, like Avatar. I don't mind about the future stuff they made up. But the things they got wrong that are current, every day things, it's just distracting. Maybe if these things are depicted properly people will appreciate the importance of them. The moon is a gateway celestial body. I'd like more people to care about exploring other planets and moons. I noticed yesterday while I was watching the Mars Science Lab launch that there were less than 7000 people watching the Spaceflightnow.com live stream. This is a big deal! NASA is sending a rover the size of a small car to another planet to measure it and send back data. We've only sent things there a handful of times. Lots of missions to Mars don't even make it. I want to know how it's going to turn out, as it happens! But how many people watched Kim Kardashian get married? Out of how many marriages that happen every day? And they do and say the same thing in all of them! Why is that at all interesting!?! It's ALL been done. It's even over already. I would like to see Kim Kardashian's marriage end with an orange and white striped parachute and a skid mark on the steppes of Kazakhstan. 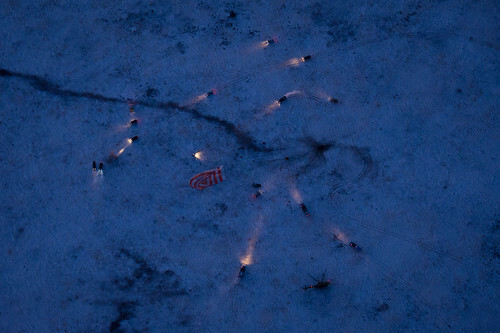 The Soyuz landings always seem slightly undignified to me, as does everything associated with reality celebrities. Well, for them, very undignified. My favorite part of the Mars Science Lab launch was video of spacecraft separation. I saw they had that for the Aquarius launch and it just tickles me to no end! I missed this launch, unfortunately. Was occupied with a million other things. Watched it on NASA TV later. Or YouTube. Now I can't remember which one. Freaking sad that I forgot that already!